March 11, 2013—CLEVELAND, OHIO—Great Lakes Brewing Company (GLBC), Ohio’s most celebrated craft brewer of award-winning lagers and ales, announces its plan to expand distribution throughout the state of New Jersey. On April 8, 2013, GLBC will enter Central New Jersey with Shore Point Distributing, Inc., and on April 22, 2013, GLBC will enter Northern New Jersey with Kohler Distributing Company. GLBC currently serves Southern New Jersey, and this two-phase rollout will fill gaps throughout the state. Deeper distribution in the state of New Jersey aligns with the company’s strategic growth plans. GLBC currently serves 13 states and Washington DC. Founded in 1988 by brothers Patrick and Daniel Conway as the first craft brewery in the state of Ohio, GLBC is nationally known for its exceptional family of beers including Dortmunder Gold Lager, Eliot Ness Amber Lager, Burning River Pale Ale, Commodore Perry India Pale Ale, and Edmund Fitzgerald Porter. 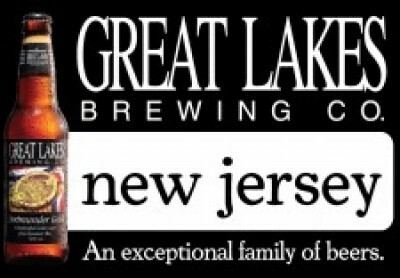 Visit greatlakesbrewing.com/newjersey and follow @GLBCinNJon Twitter for exclusive updates and event announcements.